Coleslaw is a total potluck staple and barbecue necessity and I spent a good portion of my life thinking that I hated it (as I’m sure plenty of others can relate). Well, turns out….I realized I just hate the heavy mayonnaise drowning the coleslaw. 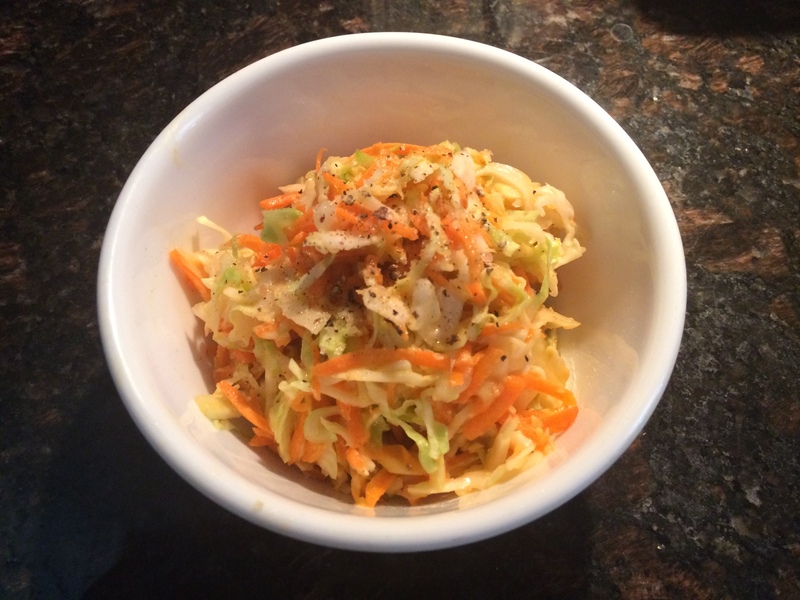 Cabbage and carrots are delicious, but that soggy, nasty mayo really doesn’t do it any favors. I was looking for a lighter, vegan version of the old classic that brings out the flavors of the veggies instead of drowning them, so I came up with this recipe. 1. Shred all cabbage and carrots in a food processor, or skip this step entirely by purchasing the pre-shredded coleslaw mixes. 5. Store in the fridge for at least an hour before serving, so all the flavors can really combine. It tastes even better the next day and will store well for several days! One of my favorite variations on this recipe is to add about 4-5 shredded broccoli stocks to my slaw. When buying whole broccoli, don’t just use the florets and toss their stocks in the trash! These stocks are still packed full of vitamins and fiber and can easily be saved in the fridge for several days. Run ’em through the shredder in your food processor or chop them up into little matchsticks for some extra boost to your salads and slaw.